Within our small but growing collection of wrought iron ottomans and wrought iron footstool designs, we offer a carefully curated range of styles, shapes and sizes from classics like the timeless scrolled garden style to an oval design that's totally contemporary. These beautiful accent seats are easily customizable with your choice of iron finishes and upholstery options, making them uniquely yours. Whether you need a stylish rectangular design for the entryway or a handsome round leather ottoman with sturdy iron base and legs for the study, we have you covered. For additional information please click on a product image below, or view our resource center below by clicking here. What styles of wrought iron ottomans do you offer? Where can I use a wrought iron footstool or ottoman? Ottomans and footstools are extremely versatile pieces of furniture. The same goes for wrought iron versions of these small accent seats. From just inside the front door to the mud room at the back door and almost everywhere in between, wrought ottomans add beauty to the decor and functionality for family and guests. In the foyer, a pair of ottomans can fit perfectly under a console table. Alternatively, a rectangular footstool can be placed against the wall for convenient seating and perhaps a pop of color. 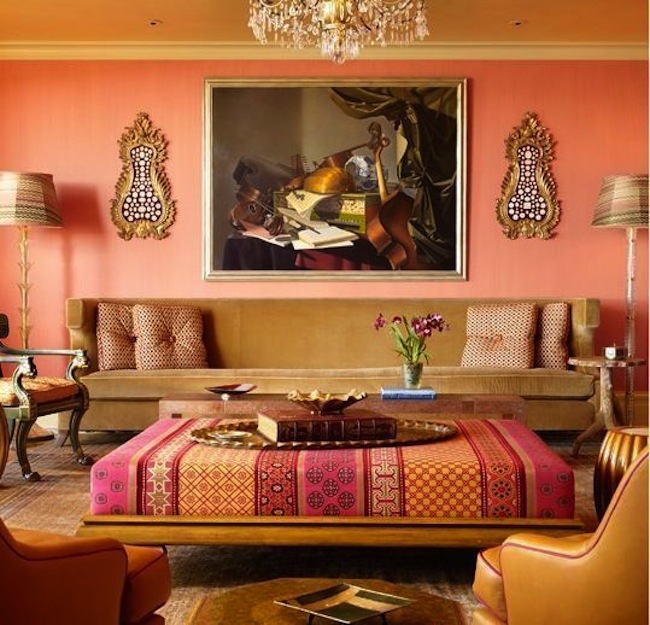 Throughout interior spaces, anywhere extra seating is needed, ottomans and footstools can work well. What materials are used to craft wrought iron ottomans? Do your wrought iron ottomans require special care? Our ottomans and footstools do not require special care. Frequent dusting with a soft cloth will keep iron and leather looking fresh, while cloth seats will benefit from routine vacuuming. More detailed care instructions can be found in our Wrought Iron Product Care and Knowledge section. Learn more about ottomans from these blog articles written by our expert designers. "Get the Look: Ottoman as Coffee Table"
Are you ready to explore the possibilities of using an ottoman in lieu of the more expected coffee table? You'll want to check out all of the interesting tips and ideas in the post, "Get the Look: Ottoman as Coffee Table". 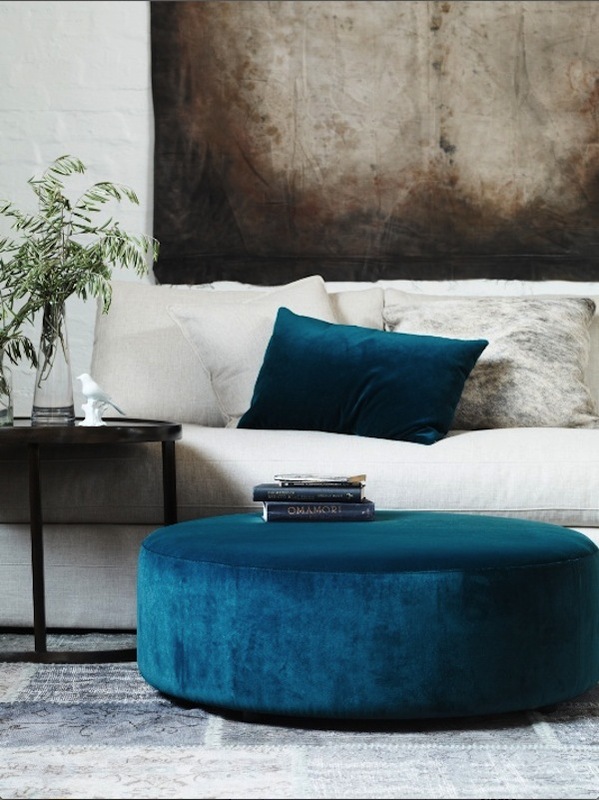 "All About Ottomans: Styles & Shapes, Uses & Ideas"
Armed with good information, you'll be able to make better decisions when choosing an ottoman. There's a lot of great info to consider in "All About Ottomans: Styles & Shapes, Uses & Ideas".